As anyone who knows me well enough will tell you, I love the Royal Observatory. Why? 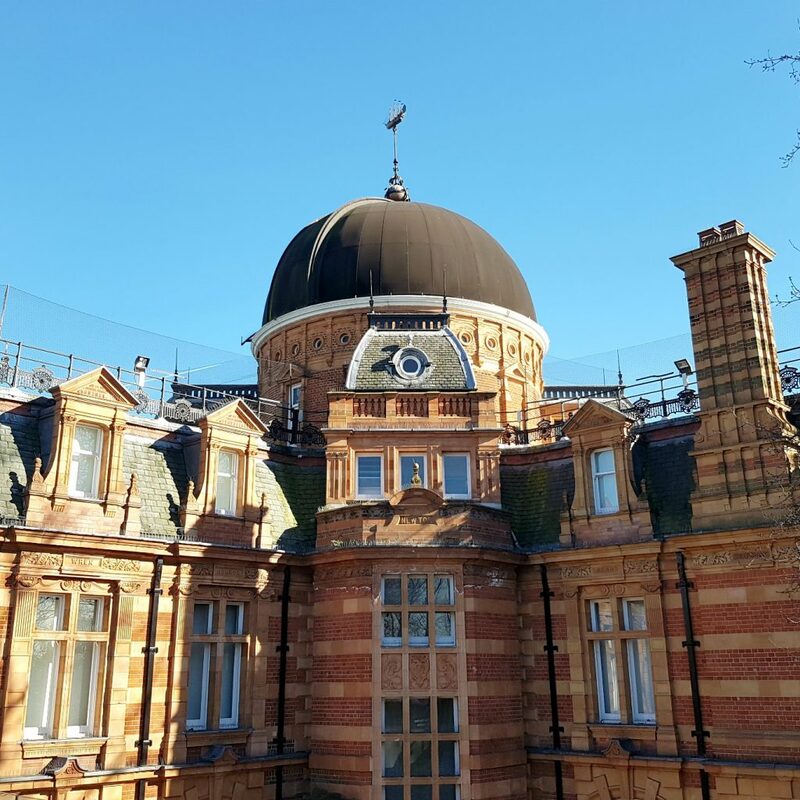 Because when I became fascinated with astronomy the Royal Observatory was like paradise. Everything I wanted to discover more about astronomy was contained in this one place, in a beautiful area and not too far to get to. Since my first planetarium show in January 2016, I have been passionate in wanting to learn more about astronomy. So what better thing to do than becoming a member of Royal Museums Greenwich. 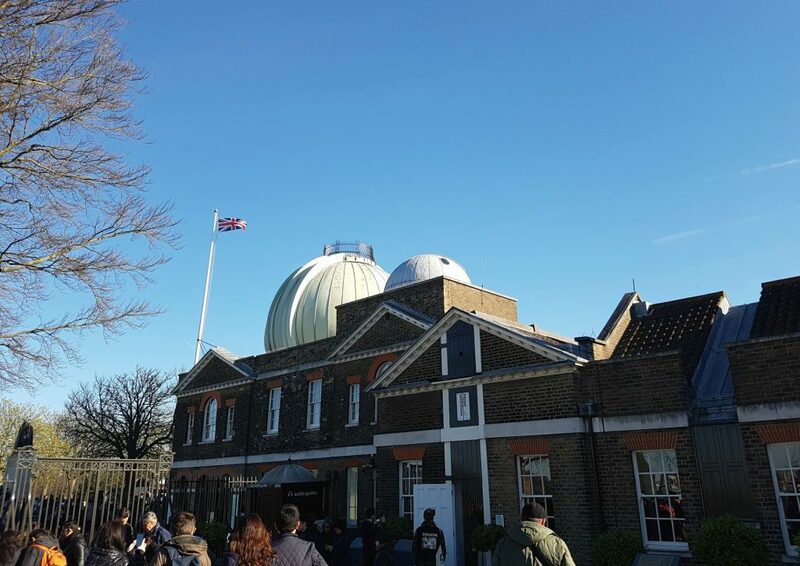 With my membership, I also became part of the Greenwich Flamsteed Astronomy Society. I was going through throttle with this. What can you do at the observatory? Since I got my membership I really put in the time to look at all the Royal Observatory had to offer. 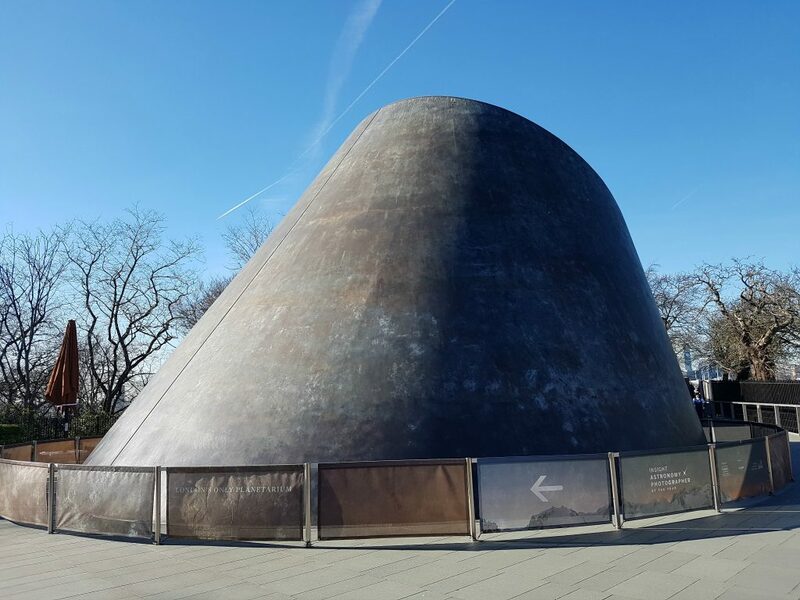 To start with the planetarium is the only one of its kind in London and is a fantastic place to learn some of the basics of astronomy. There are regular shows that cater for children and will interest adults too. I have been to talks in the planetarium in the evening as well. What they can show in the planetarium is just mind boggling. You can see the night sky in all directions and into the past, even into the future! Workshops do happen at the observatory but not very often. Late 2016 they had their second workshop on Astrophotography. A panel discussed their experiences of astrophotography and the recent astronomy photographer of the year exhibition. Workshops then took place in the classrooms of the southern building teaching us more about the technical aspects of astrophotography. I pretty cool evening. Courses are also taught at the observatory. I attended the 6-week course, Introduction to Astronomy. I found it so fascinating and it was one of the first things I blogged about (so not the most refined pieces of writing I have ever done). 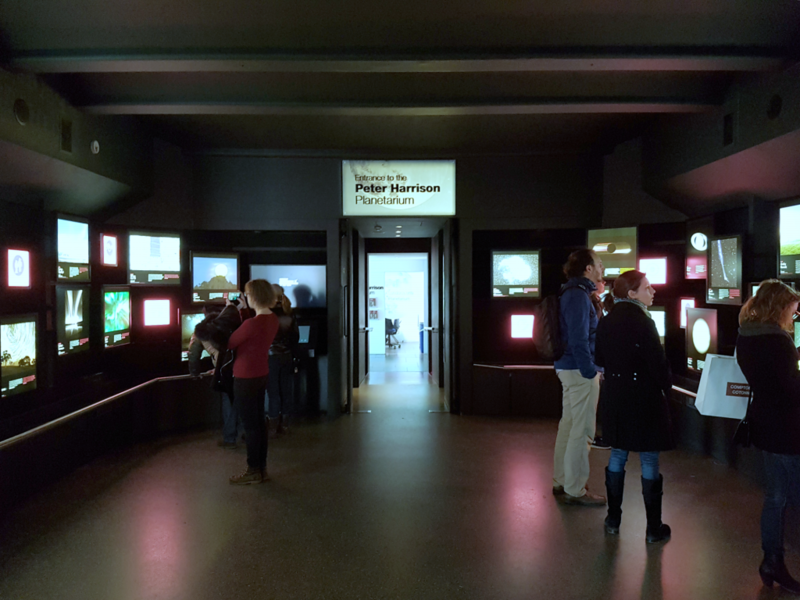 Along with the free smaller exhibition spaces, the observatory offers a lot for people keen on astronomy. They do show science fiction films in the planetarium too! Learning about astronomy is all contained within the south building of the observatory. To the north of this is Flamsteed House. This is where the observatory’s life began. In 1675 Charles II instructed the first Astronomer Royal, John Flamsteed, “to apply himself with the most exact care and diligence to the rectifying the tables of the motions of heavens, and the places of the fixed stars, so as to find out the so much-desired longitude of places for the perfecting the art of navigation”. Flamsteed House was designed in 1675 by Sir Christopher Wren and is the original observatory building. Its location had advantages; it was on royal ground (secluded at the time), high up so it had clear views and was outside the smoky haze of London. Finding accurate longitude (east-west position) was a great navigational problem for over 80 years. Flamsteed set in motion work that would define the first ‘Greenwich Meridian’. Subsequent Astronomer Royals developed more accurate transit instruments for the official meridian. George Biddell Airy, the seventh holder of the post, defined the final meridian in 1851. Airy was also the person who added the Great Equatorial Building as a telescoping tower in 1857. Imagine being one of the people charged with the responsibility to provide better accuracy to one of the greatest navigational problems. 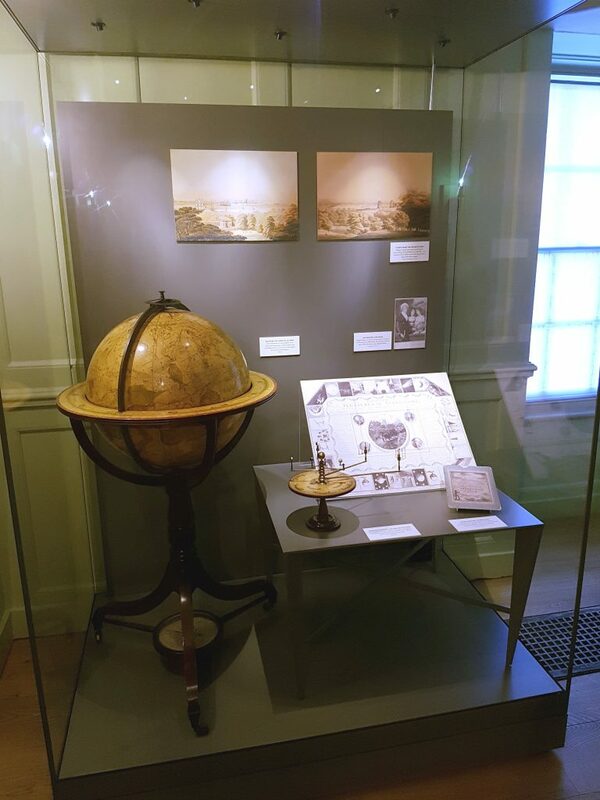 Inside Flamsteed House, you will walk through where the Astronomer Royals lived. Downstairs are the living quarters, with the dining room, nursery and parlour. 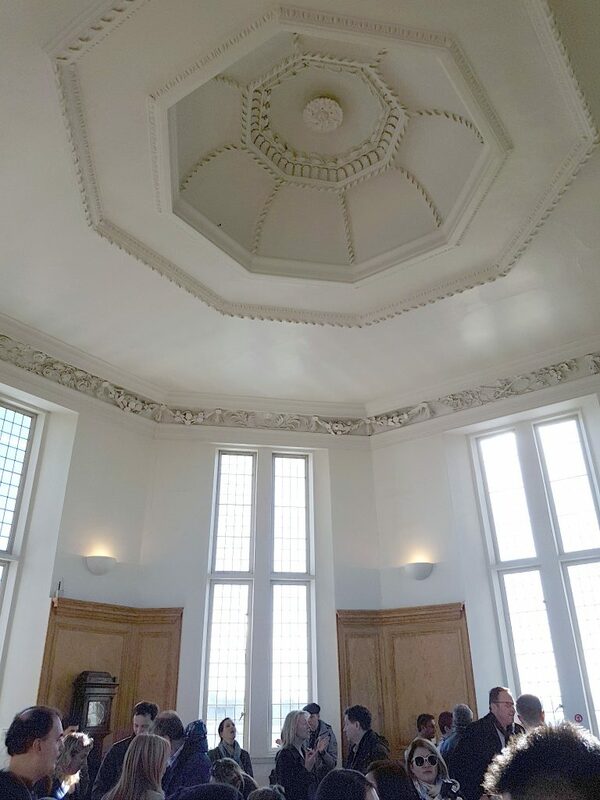 Upstairs is the big Octagon Room where Flamsteed could accommodate long telescopes and specialised clocks. The room has a lot of nature light with its long windows located around the room. After the Octagon room is areas dedicated to how time has been measured from the 19th century through to the present day. It gets very crowded in these areas, especially over the weekend. They show all the different methods of telling time and it makes you really appreciate something we take for granted. Imagine if we lived without any sense of time? The Prime Meridian line can be found at Meridian House. It looks like something so simple and yet its impact over the last century has been incredibly powerful. 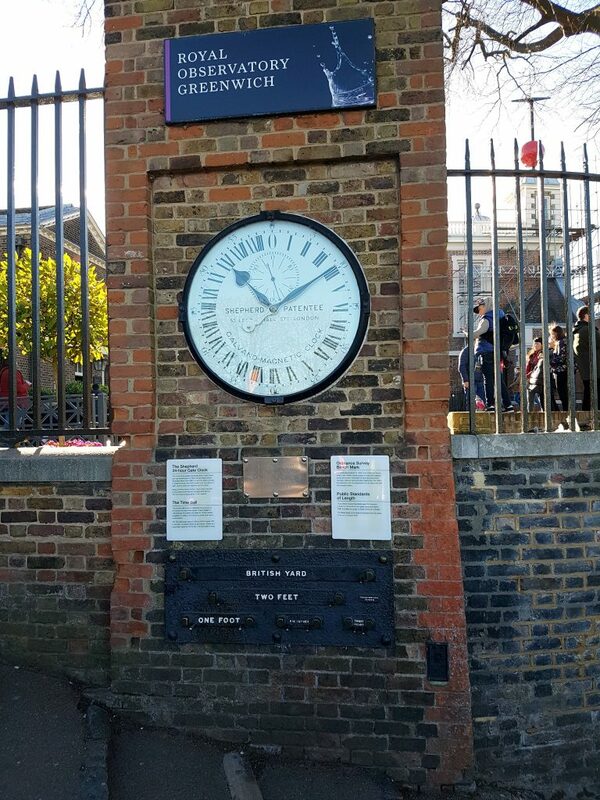 When you walk pass the Prime Meridian you will be in the busy gift shop. From here you can choose to exit the observatory or you can walk upstairs from the shop towards the Great Equatorial Telescope (definitely take the latter option). You will have to walk up a short spiral staircase that will lead you onto the dome of the Great Equatorial tower. 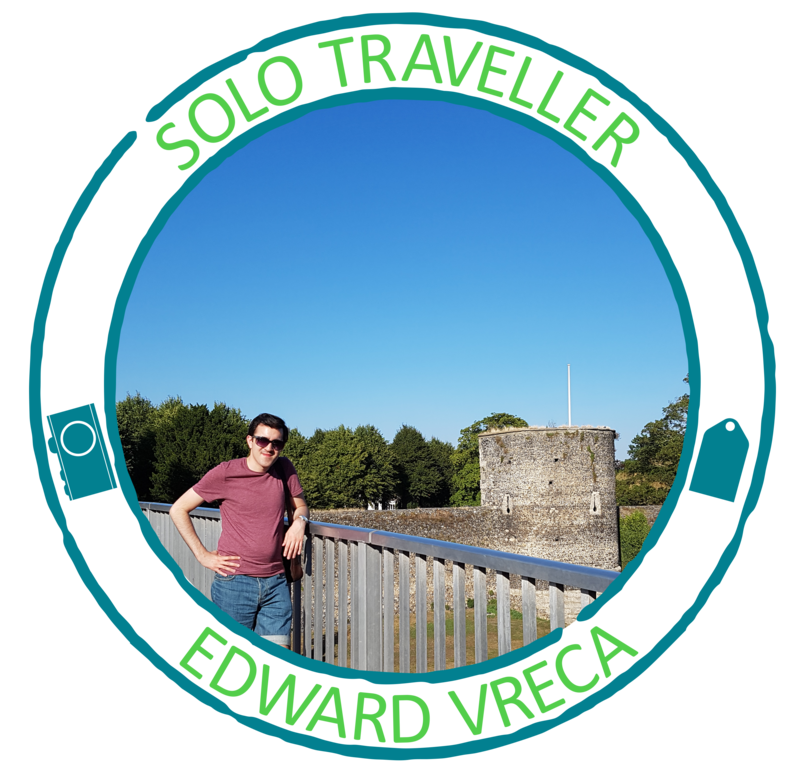 I have been fortunate enough to actually view through the telescope and visit the tower on more than one occasion outside of public hours. It is a real bonus for visitors to be able to see the Great Equatorial Telescope, as it is an observing tool from a by-gone age. More sophisticated telescopes are used nowadays but the Equatorial Telescope does still provide great observing opportunities. 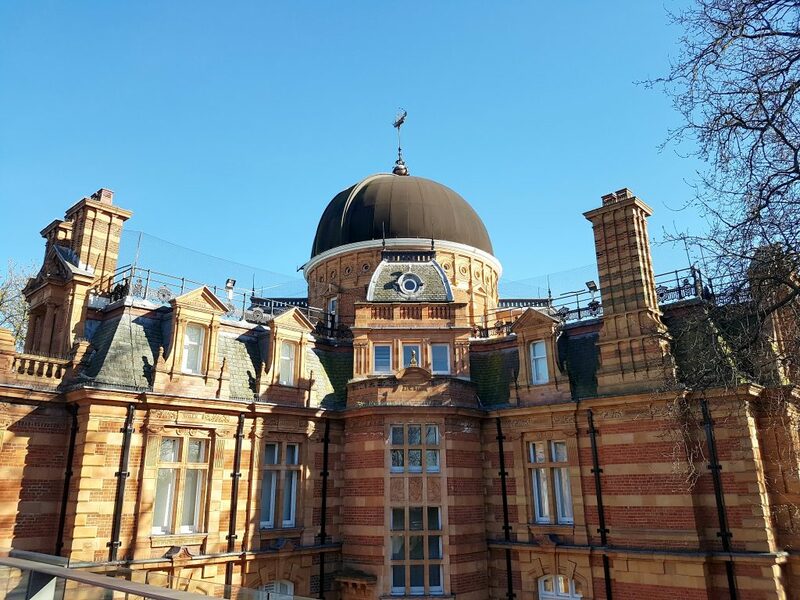 As you can tell the Royal Observatory is an important place showing the significance of the past, present and future of time and space. 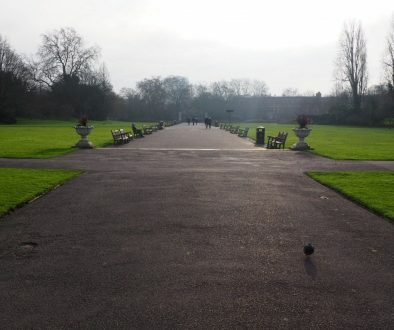 It has fast become one of my favourite places in London. What you also get from the observatory is a stunning view of London. 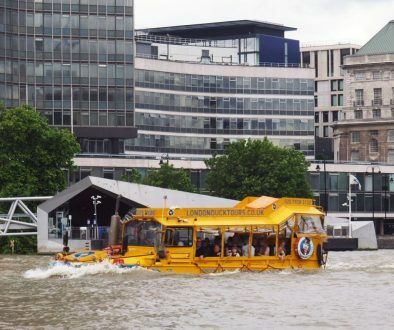 From the top of Greenwich park, you have a perfect view of Canary Wharf, Royal Naval College, National Maritime Museum and the city of London to the west. It’s worth climbing up to the observatory even just for that. 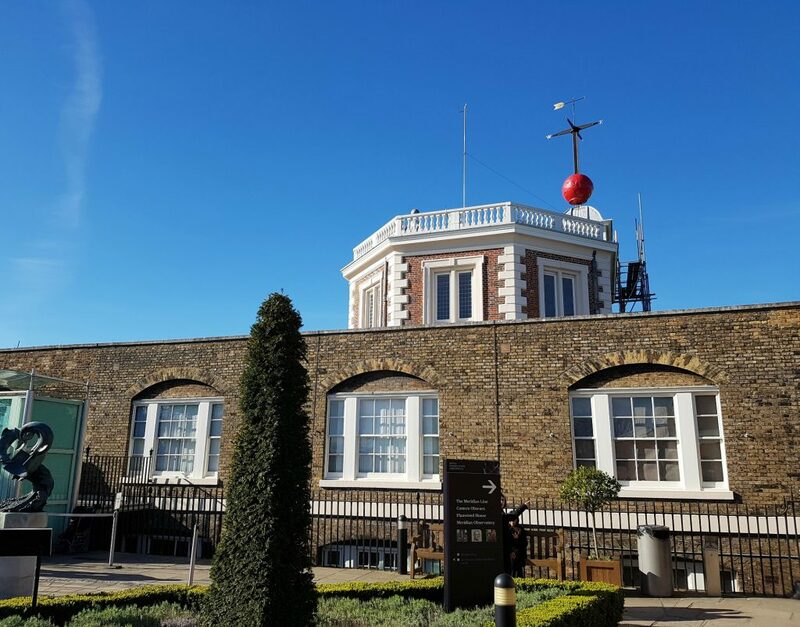 Have you been to the Royal Observatory Greenwich? Have you visited the Planetarium? 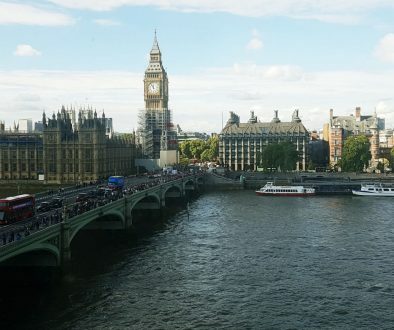 Where is your favourite view of London?